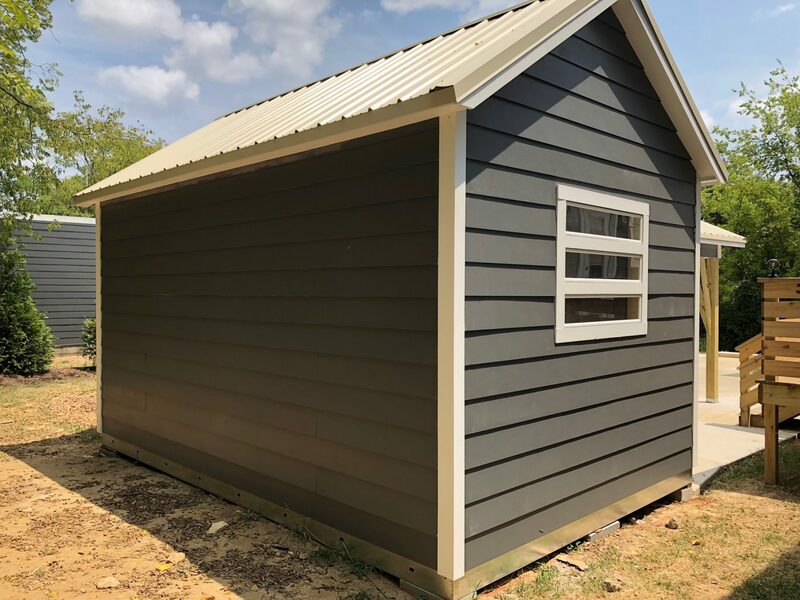 When Andy Logan and his wife moved to Nashville, they knew they needed a Tuff Shed building for their new home. Andy had grown up in Arizona, where his dad had several of our buildings on his property and always raved about the quality of the construction. They were so impressed they couldn’t imagine working with another company. The Logan’s new Nashville home lacked the storage space their previous home had. Their guest room quickly turned into a storage catch-all. It was clear they needed their new Tuff Shed as soon as possible. Andy assumed the project would take more custom design work than usual, since it was important for the buildings to match the neighborhood aesthetic. He worked with our Nashville team and designed two incredible custom buildings. They had to be very creative with their design to work around a rain garden in their backyard that couldn’t be moved or disrupted. 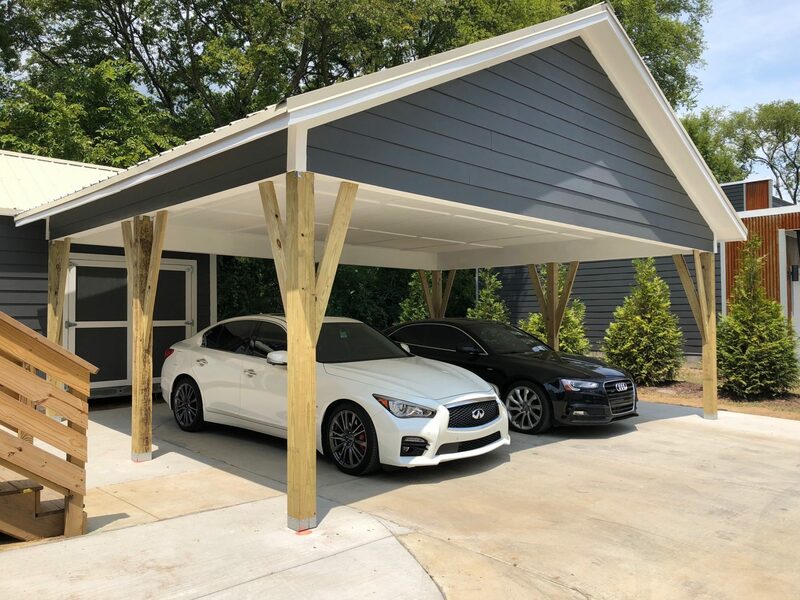 “We started with a garage that had extra storage space included but ended up with a carport and a storage shed. It’s basically endless with all the things you can do when designing buildings with Tuff Shed,” said Andy. 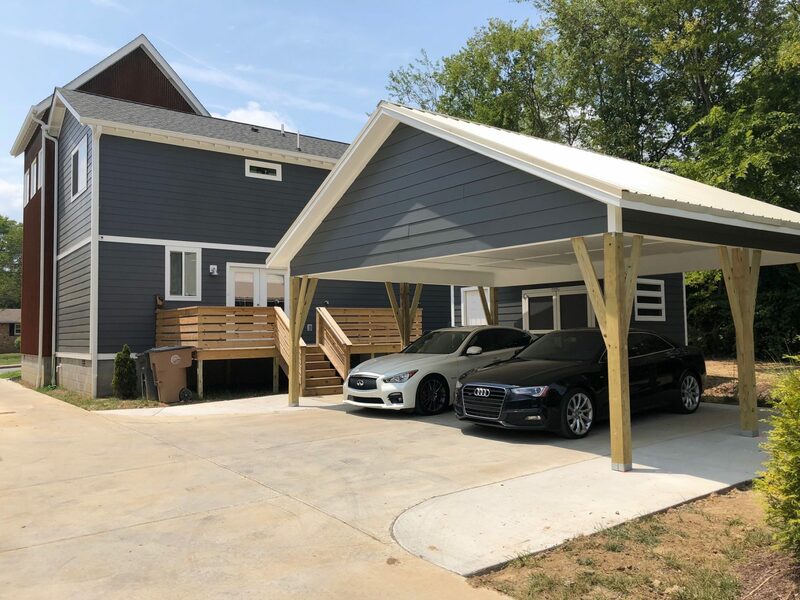 In the end, the final designs included a 10×16 Premier PRO Tall Ranch to be used for storage and a custom 18×24 Carport. “I love having the shade for our cars and being able to move all my tools and gear out of the house. It’s been great,” says Andy. What is the costs for both structures. Hardie Board Siding? Where is that on the above picture. What is the heighth of the access? I have a tractor that requires approx. 80″ of clearance due to the safety crash bar. So is the roof of that carport used for storage?? Hi Cynthia, great question. 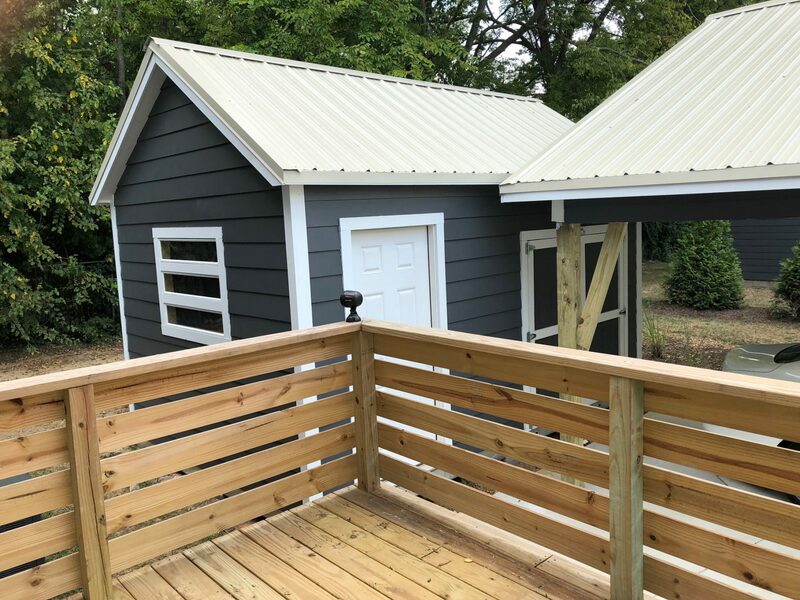 The roof of the carport is not used for extra storage space but the storage shed installed behind the carport certainly is!